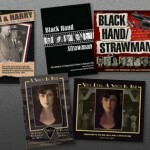 The DVD of Black Hand Strawman is the same film that has been captivating audiences in the Kansas City area since its release on March 20th, 2009. The release date coincided with the 37th anniversary of the release of the film version of “The Godfather,” when the Italian community in Kansas City bought up all the seats at the historic Empire Theater in downtown Kansas City, Missouri, and as a protest against cultural biases, refused to go see it. Black Hand Strawman begins with the nationally televised news footage from 1972 of scenes of the empty theater seats while “The Godfather” is shown. Being centered in the middle of the country most people would not think that Kansas City would have a particularly large Italian community. However, many Italians came into America through New Orleans, took a boat up the Mississippi River to St. Louis and then cut west on the Missouri River and stopped in Kansas City (many also went on). Sixty-six (66) percent of all Italians who colonized in Kansas City in the early 1900s came from Sicily, home of the Sicilian Mafia. Many old world customs were exported to America and adopted locally, Kansas City being one of them. 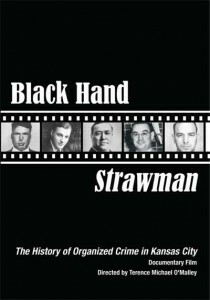 Kansas City’s organized crime flourished during Prohibition and the 1930s because Kansas City was a machine-controlled town. Boss Tom Pendergast was in control and he ran a tight and corrupt ship. Tom imposed a “cut” on all the sin businesses in Kansas City and as a result KC was a wide-open town where vice of all kinds flourished. In its shadow was organized crime, the Mafia, La Cosa Nostra, the Syndicate, whatever one wants to call it. 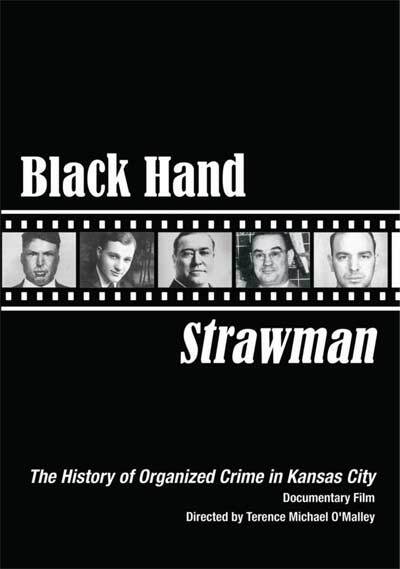 Amazingly, even after the fall of Pendergast, the Mafia in Kansas City flourished and an infamous dual murder gave rise to the Kefauver Hearings, the congressional investigation into organized crime in Kansas City. KC’s mob reached its Zenith in the late 1970s and early 1980s by controlling the skimming of casinos in Las Vegas and manipulating the Teamster’s Central States Pension Fund to provide loans for casinos in Vegas. There is more history in this film than most people can absorb in one sitting. But that’s alright, because if you own the DVD you can pause, reverse and fast forward to those spots that most interest you. Please give us a review at your convenience and thanks for your patronage.